For example, business users may want business data combined with workflow task information, or to be able to filter and sort worklist items using business data. You can accomplish this and more by using the Bytezoom SmartK2 Worklist. This blog describes features of the Bytezoom SmartK2 Worklist. 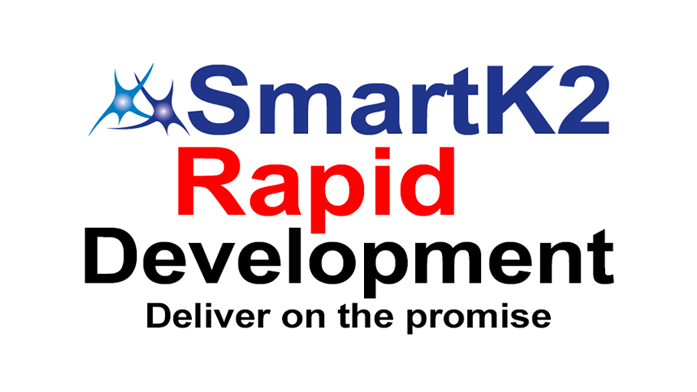 This worklist is provided free of charge when you license the SmartK2 Service Broker. The worklist includes a header that you can customise, along with user and management worklists that can be customised to include business data. The Management Worklist tab can easily be hidden from users who are not members of an administrator role. You can freely make copies of the worklist application, and filter tasks by application, or you can use one worklist for many applications. You also can use component parts of the worklist in other applications. For example, the Header, User Worklist, or Management Worklist views can all be used independently in other applications if desired. 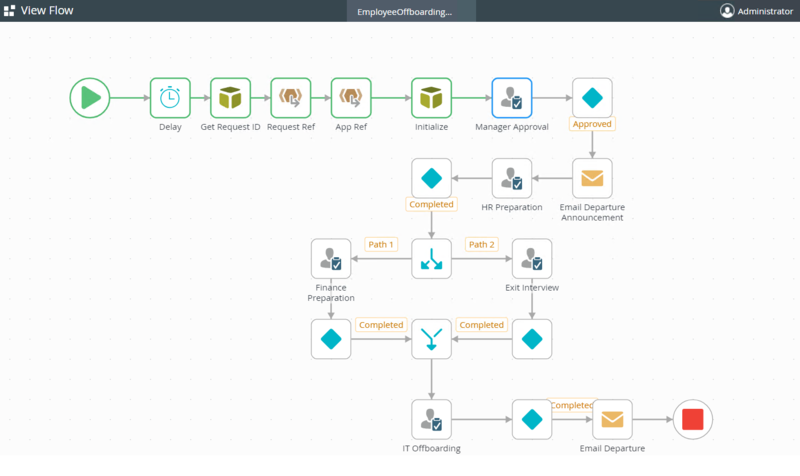 Combine business and workflow data for additional context. Delegate (share) a task to someone else. In the below images, columns Request ID, TERM TYPE, and SEPARATION TYPE, are not Worklist Item properties. Instead these come from a table in the application database. The SmartK2 Worklist makes it easy to customise a worklist to show related business data. When a user selects a worklist item for a task that allows actioning from the worklist, a dropdown list is displayed in the upper right of the worklist. The action is carried out. And the Brandon Brown process has now moved to the HR Preparation step. Notice in the image below that when the HR Preparation task is selected, there is no task action dropdown list shown. This is because the workflow step was not configured to allow task actioning from the worklist. This is because this step requires opening the task form where information must be added and documents uploaded. When a user selects a worklist item and clicks Delegate or Redirect, they see a sub-view for selecting a user. The task is then delegated (shared) with the selected user, or redirected to a different user depending on which was selected. In the above example, we delegated a task to Roy. If we then click the Management Worklist tab, we see that a new approver was added to the Manager Approval task for Brandon Brown. Sometimes a user opens a task form and closes it without taking action. This can leave the task in an Open state which prevents other users who are assigned to the same task from seeing it in their task list. This may be done intentionally when a user needs to insure that others will not complete the task. If it is done inadvertently, then the task may need to be released. Releasing a task changes its status from Open to Available. In the below image, the task for Rob Joy has a status of Open. When a user selects the task and clicks on Release, the status is changed to Available. This allows the task to be seen be all assigned users. When a user selects a task, a ViewFlow link appears in the toolbar. Clicking the link opens a new browser tab that displays the ViewFlow Report. Many K2 applications need an application administrator. These admins often need to manage task assignments on behalf of other users. For this purpose, K2 provides a management worklist that is exposed on the K2 Management Site. One disadvantage of allowing application admins to use the K2 Management site is that they are not restricted to a specific application. If you include a Management worklist in your applications, access can be limited to just administrators, and further restricted to a specific application or group of applications. 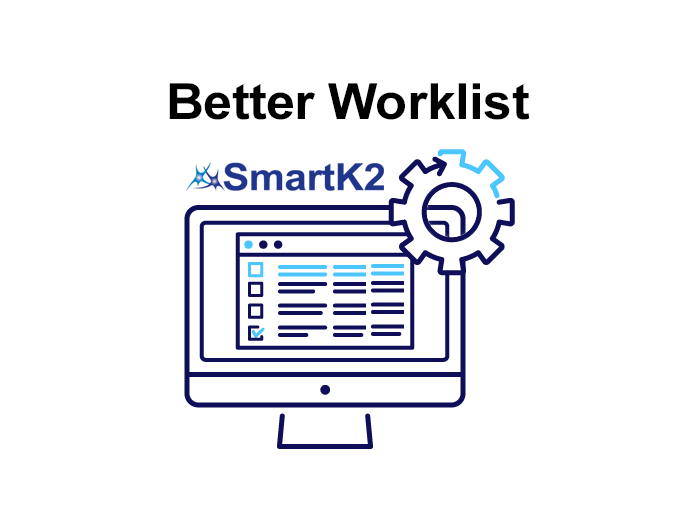 With that in mind the SmartK2 Worklist includes both a User worklist and a Management worklist. Both use the same form and are exposed using Tabs. 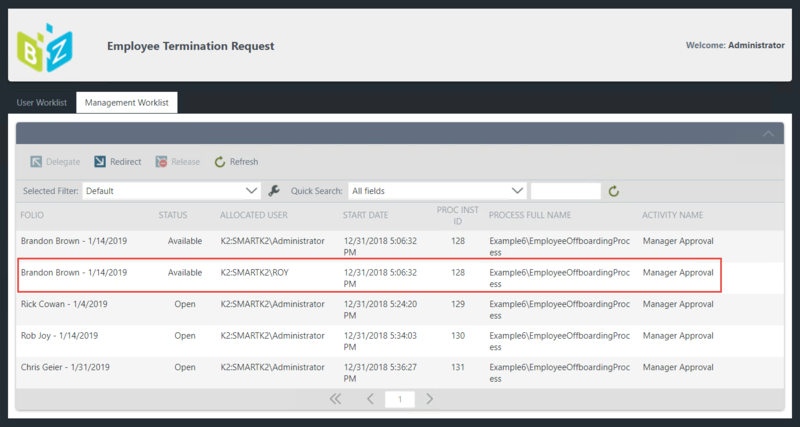 The Management worklist allows an application administrator to Delegate, Redirect, and Release tasks on behalf of an application user. A custom worklist give you control over the worklist user experience. If the worklist look and feel is the same across all of your applications, users will have an easier time. Instead of spending development time building a custom worklist, use the Bytezoom SmartK2 Worklist and spend your valuable time where it counts most, building business applications that only you can create. Need more details reg. this control. Can i list the all the tasks related to the particular request . Lets say, i have a application submission process and it may initiate more than one workflow with same or different folio number. is this possible to track and mange the worklist related based on the request. Yes, you can list all the tasks for a given request, even those that may come from multiple processes, or a child process, or those having a different folio. You can download a 30 day free trial version of the SmartK2 Service Broker for K2 FIVE at: http://bit.ly/2F8nizK. Happy to answer any other questions.